Among its wide variety of attractions you can find snow-capped mountains, lakes, valleys, beaches and unique flora and fauna. You can also appreciate the buildings of ancient, pre-Incan civilizations, and enjoy festivals that bring together tradition and the present-day way of life of its new inhabitants. Áncash has strikingly varied scenery, with its high peaks, like the snow-capped mountain Huascarán (6,768 meters above sea level), hundreds of lakes, picturesque valleys, like the Callejón de Huaylas, and trails bordered by eucalyptus trees and retama flowers that cross over the Andes to the archaeological site of Chavín de Huántar. 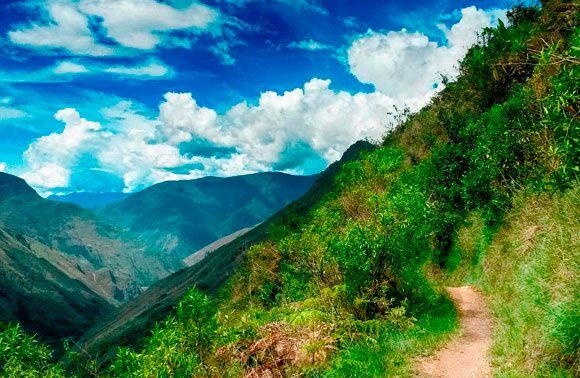 Peru’s famous trekking capital nestled between the stunning mountain chains of the Cordillera Blanca and Negra, is starting to dry out from its rainy season (summer) as the best time for hiking approaches. A large collection of stone sculptures from the Recuay civilization, as well as ceramic and textile objects from the Chavín, Huaraz, Mochica, Wari and Chimú pre-Inca civilizations. Built after the 1970 earthquake, the temple holds a 16th century image of Our Lord of Solitude, patron saint of Huaraz. The water in its swimming pools and ponds reaches temperatures close to 50°C. Recommended for treating rheumatic and nerve-related conditions. There is a hotel, restaurant, pools, and individual and family-sized ponds. This site is home to architecture from the Wari civilization, which existed during what is now known as the Middle Horizon period (700 – 1100 A.D.). Inside, there is a network of galleries, which were used as offering sites. The park was created in 1975 for the state to take responsibility for preserving the wild flora and fauna, geological formations, archaeological sites and beautiful landscapes. It was awarded Natural World Heritage status by UNESCO in 1985. Within its 340,000 hectares, which cover almost the entire Cordillera Blanca (White Range), the wide variety of high Andes vegetation and 300 lagoons can be admired. Animals that inhabit the area include the spectacled bear, the North Andean deer and the Andean condor (three endangered species), the puma, deer, the Andean mountain cat and many different birds. The area is located to the north of Lima, between the Pacific Ocean and the Marañón River. A broad, open Andean valley between the Cordillera Blanca (White Range) and the Cordillera Negra (Black Range). A clear sky, warm sun, benign climate, snowy peaks, crystal clear lakes, hot springs and dreamlike landscapes present the ideal conditions for experience-based tourism and adventure sports, including mountain biking, paragliding, rock climbing, rafting and trekking. 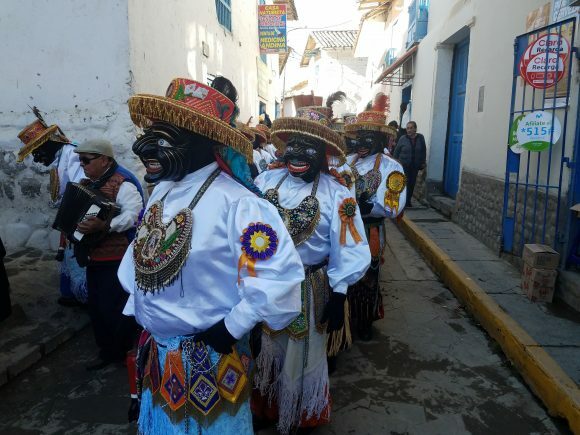 With its back to the Cordillera Blanca (White Range), parallel to the Callejón de Huaylas, the area has its own traditions and customs that differ from other parts of the region. The area allows for a different view of the Cordillera Blanca, with cities including Chavín, San Marcos, Huari, San Luis, Chacas and Yanama. An ideal location for lovers of excitement and adventure, with many archaeological sites that are still yet to be explored. The dozens of peaks make the area ideal for trekking. 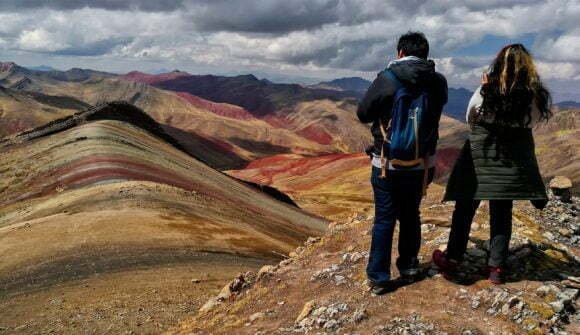 The full trek takes nine days to complete and includes four trails at over 4,700 masl. Far from any urban zone with natural landscapes and wild fauna. Formed by the Santa (Saintly) riveras it passes through the Callejón de Huaylas, this is the point where the Cordillera Blanca and the Cordillera Negra are closest to each other. The canyon, between 1,400 and 1,850 masl, is 15 metres wide and almost 1,000 metres deep. The Cañón del Pato hydroelectric dam, which supplies electricity for most of northern Peru, was built there. During the journey, Patococha lagoon can be seen, as well as “Puya Raimondi” flowers and the Pumapashimi spring. Tourists can reach the base of the peak and take pictures. 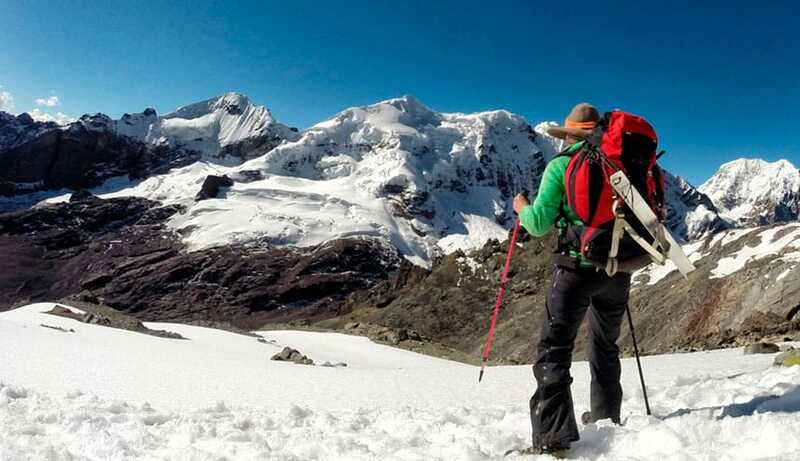 The Chinancocha and Orconcocha lagoons are located at 3,800 masl, within the Huascarán National Park, and are fed through the thawing of Huascarán, Huandoy, Pisco, Yanapaccha and Chopicalqui snow-capped peaks. Chinacocha or “female lagoon” is practically at the foot of Huascarán and is characterised by the intense turquoise green colour of its waters and the dense “queñua” forests on its shores. The other lagoon, which is smaller and called Orconcocha or “male lagoon”, is located at the end of the glacial valley and its waters are sky blue. It is the highest mountain in Peru (6,768 masl). For those seeking to climb Huascarán, the expedition lasts 6 to 7 days. The Raimondi glacier is used for acclimatisation and as a base camp for climbing the North and South peaks. Ideal for mountain climbing and skiing. Built in approximately 1200 B.C. and discovered by Julio C. Tello in 1919. It was awarded Cultural World Heritage status by UNESCO in 1985. The complex comprises ceremonial areas and pyramid structures built with enormous stone blocks. The “Templo Viejo” or Old Temple holds a series of underground galleries that provide access to the hall of the Lanzón, an impressive stone sculpture in the shape of a knife. The sculpture, which is 4.53 metres tall, was carefully carved with images of cats, birds and serpents, characteristic of Chavín iconography. The museum is a modern building holding a varied collection of ceramic and stone objects from the Chavín civilization. It has a special hall exhibiting a collection of “pututos” (animal horn trumpets) which were used in religious rituals in the Chavín Archaeological Monument circular plaza. A ceremonial centre made from adobe and stone, belonging to the Sechín civilization (1800 – 800 B.C.). At the entrance, a wall of carefully carved stones stands out, while painted murals can be admired inside the building. The museum offers information about the main pre-Hispanic cultures that inhabited the region, including the Moche, Wari, Chimú, Casma and Inca. The museum also displays objects found in archaeological excavations carried out in the Casma valley, particularly pottery. A place that features hot springs (3,394 masl), such as Conococha, Ucuschaca, Pachacoto, Pumapampa, Burgos and Otuco. Birthplace of the Recuay civilization. The Querococha and Conococha lagoons and the San Patricio volcanic cavern are located within the province. An area with very high snowy peaks. An excellent spot for gazing at the Artesonraju mountains (6,025 masl), the Garcilaso Pyramid (5,885 masl) and the western wall of Chacraraju (6,112 masl). A peaceful spot known as the “Espejito de Cielo” (Mirror of Heaven), the area extends along the right bank of the Aynín River in the high Pativilca River basin (3,090 masl). Main entrance point to the Cordillera Huayhuash and the “Gold of the Andes” trek. Attractions include the Conococha lagoon, Tucu Chira peak, the Sanctuary of Señor del Camino or Conchuyacu, the Usgor waterfall (2 km from the City), the San Juan Cruz scenic viewpoint, the pre-Inca heritage of Capillapunta and Puscanhuaru (10 km from the City), the Huasta and Aquia colonial churches (8 km and 17 km respectively from the city), the Sanctuary of Our Lord of Cayac, the pre-Inca heritage of Pucamachay and Belén de Aquia and the Puyas Raimondi in the heights of Pachapaqui (30 km from the City).